and more in its way. 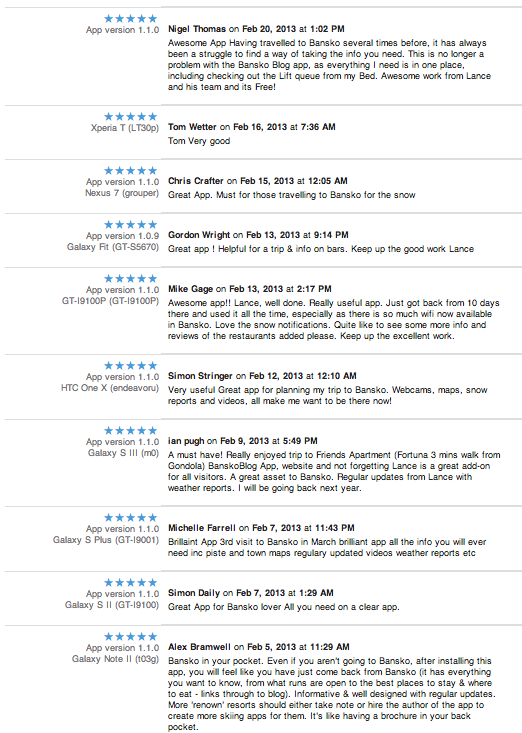 Your feedback on the Bansko app is welcome. The Bansko App has been downloaded by 25,000+ users; you’ll find the blog, lift & piste opening blog, live cams plus a lot more besides. It’s based on what I want to see in a resort app. I hope you find it as useful as I do. If you do, please take a moment to give it a rating and a review. But if you are unable to give it four or five stars, report the problem and I’ll do my best to fix it. 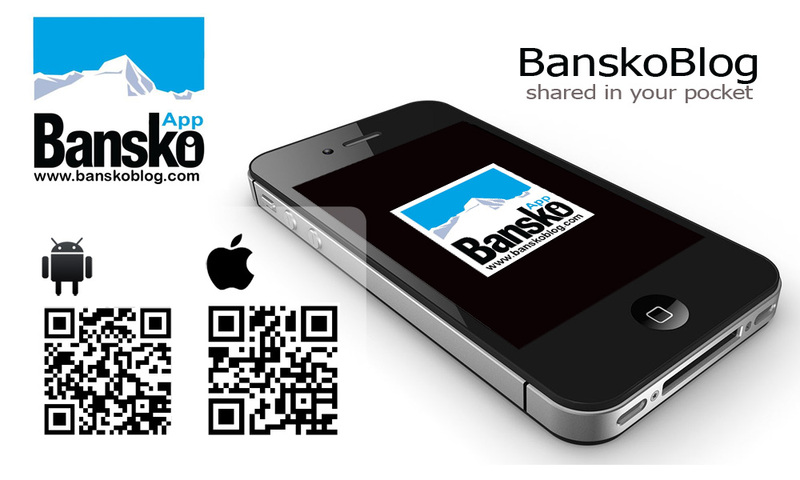 Use the App to show you the exact location of all the main places in Bansko. Use the App to book the best restaurant table by emailing or calling the venue. Use the App to discover new restaurants, bars, and night clubs. Use the App for location of ATM’s, pharmacies and medical centres. Use the App to measure your ski | boarding distance and speed. Use the App to see live lift and piste opening information. Use the App for latest offers in town. Use the App for a piste map and a town map. Use the App to give directions to places. Use the App to book a private transfer. 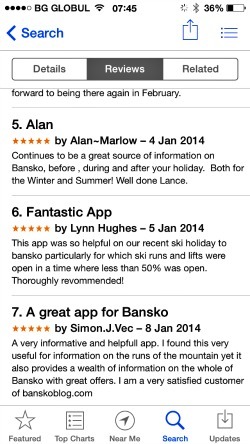 Booking services on Bansko Blog and Bansko App helps me keep all the info coming and make improvements for all. Don’t forget the the large piste map cloth lens cleaner for all bookings online here at banskoblog.com (worth €5).